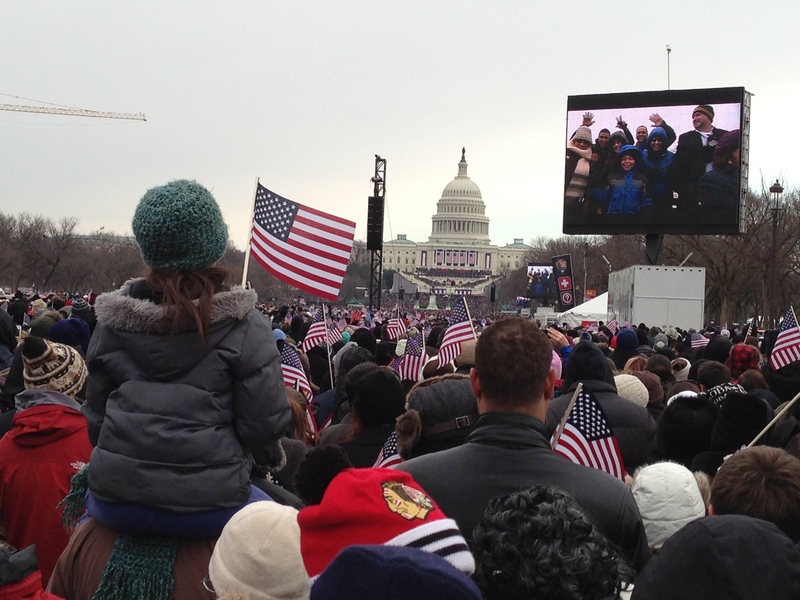 Recently Haroosh and I got talking about our trip to Washington D.C. to attend the second inauguration of President Obama. Sometimes we spend 10-12 hours a day in the car, as we travel through all these United States, and you need to do something to pass the time. So having a conversation with a small baby chick seems the perfect thing to do. If you’re wondering who Haroosh is, and why I’m having conversations with him, I suggest you start here. Haroosh: Where were those people from? Same as last night, at McDonald’s! And they were at the Inauguration too? Yep. And now we’re all heading back home. What did you think of it, by the way? It was…it was really something. No…I’m just trying to find the right words. Do you think a lot of people will be upset that I went? Well, I know a lot of people don’t like President Obama. Ahh. Right. Well, maybe it’s best to think of this as not about politics, but more like history. Well, sure. First African-American president. But that was four years ago. It was a bigger deal then. Well, I suppose. But being reelected means something, too. You were telling me about what it was like on Election Night, in 2008. All those people, and they were so happy. Yes. One of the most amazing nights of my life. Did people really think he was going to make everything better, just like that? Well, no. But there was a… feeling, I guess. That maybe things would start getting better. That everything wouldn’t be so… ugly. Do you think he’s made everything better? It’s not as simple as that, Haroosh. He’s done some things I’ve liked, and some things I don’t like. That’s the short answer. But you didn’t really answer my question: what did you think of the Inauguration? Especially while we were waiting for that subway train. And they were shouting sometimes, and those old ladies were fainting. And then they said the train was broken. That was not the best moment, no. But did you listen to the speech? Yeah…it was hard to concentrate, though. We were standing there a long time. And I’m pretty small. But I liked it. He talked about people that don’t get talked about a lot in those types of speeches, didn’t he? And that’s what America’s supposed to be about, isn’t it? Opening the door for more people, granting greater freedoms and liberties. At least, that’s what I remember from what you taught us in fifth grade. Yes. We didn’t get a chance to go look at the Constitution, but that’s what we’re supposed to be all about. I think I know what you mean about things not being so…ugly now. Well, we have a long way to go. And presidents can only do so much. But think about all those people standing in front of the capitol building, or waiting for the subway, or driving back home to Ohio or Alabama or other parts of America. Black or white, young or old, for them, it’s still a big deal that he’s the president. They’re counting on him to make things just a little big better. And yeah, I know a lot of people aren’t happy that he was re-elected. That’s a different kind of ugly that won’t go away for a while. But I’m okay with the vision of the United States of America that the president talked about in his speech. That’s the country I’d like to live in. I wish he would have mentioned something about baby chicks, though. He won’t forget about us chicks, will he? I don’t think anyone will forget you, Haroosh. It’s good to be back on the road, isn’t it? Yes. Yes it is. I’m glad you took me with. I’m glad you’re with me, pal. It wouldn’t be as much fun if I was doing all this by myself. So. Where are we going next? I have no idea. Wherever the road takes us, Haroosh. 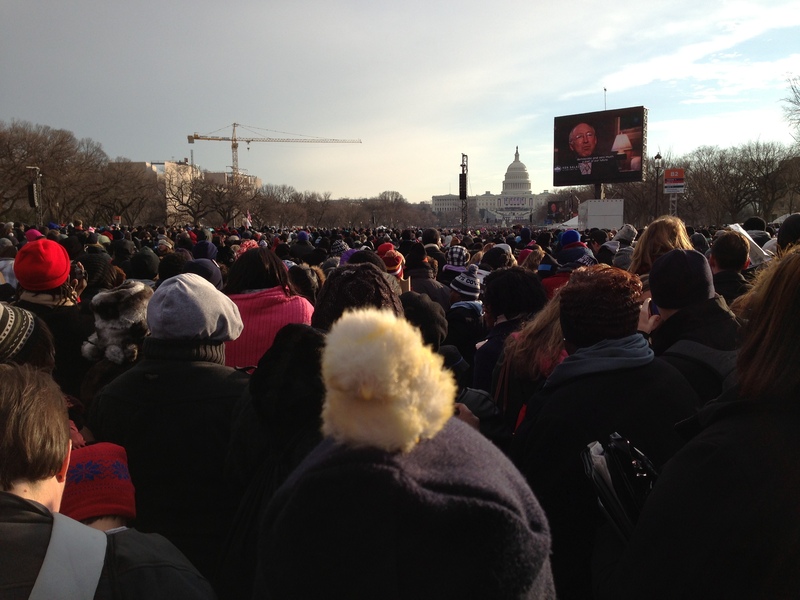 In Travel	Haroosh, Inauguration, Road Trips, Washington D.C.